Is Renting To Pet Owners A Bonus Or A Bone Of Contention? You are here: Home › Landlord Tips › Landlords Blog › Is Renting To Pet Owners A Bonus Or A Bone Of Contention? It’s a well-known fact that the UK is a nation of pet owners – around half of adults own a pet, which adds up to 11.1 million pet cats and 8.9 million dogs, not to mention the rabbits, goldfish and even snakes! Do you rent to pet owners? 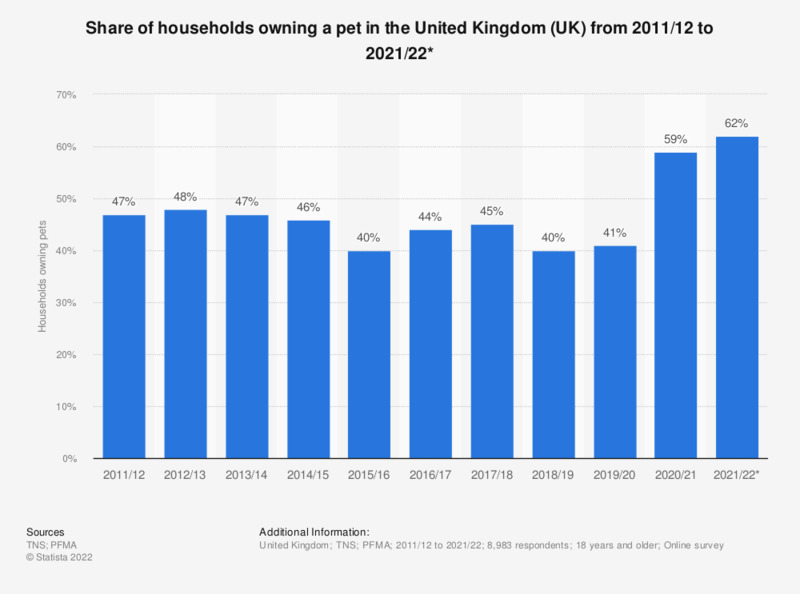 Nearly 50% of households own a pet! That’s a lot of potential tenants you’re excluding if you’re a landlord who doesn’t accept pets. survey statistics from the last 1,000 properties available for let on lettingaproperty.com shows that 79% of Landlords would prefer Tenants without pets! These facts are supported by a survey by Dogs Trust indicating that 78% of pet owners expressed difficulties in finding privately rented accommodation that would allow pets. Furthermore, 54% failed to find a suitable property in the end and sadly 8% of Pet owners had to re-home their pets after failing to find a property. These facts pose big questions for the UK Landlord. Firstly, do Landlords consider waiting for a Pet-Free Tenant to move in? Or would they consider tenants that pass referencing and can afford the rent, but come with a well-behaved pet? With 4 in 10 potential tenants possibly having a dog or cat as a pet and 8 out of 10 Landlords telling us they would prefer a pet free tenant…something is going to have to give! What can Landlords do in today’s tenant market to protect their property investment should they decide to give into the thought that a Tenant with a Pet maybe better than not having a tenant at all? So what does this mean for landlords? Is letting your property to a pet owner a liability or can it bring surprising benefits? Is renting to pet owners a bonus? Given that pets are so popular, it makes sense to look at what benefits owners could bring you as tenants and how to manage any issues that may arise. Finding a pet-friendly landlord can be difficult for tenants, so you will be tapping into a whole new pool of people you hadn’t considered before which will give you the edge on other landlords who aren’t willing to accept pets. You may find that tenants are likely to stay for longer, given that pet-friendly landlords can be hard to find. Pet-owning tenants are just as likely to be responsible and reliable as any others. Maybe even be more so if they are eager to hold on to a welcoming home for them and their pet. How do I stop pets becoming a bone (no pun intended) of contention? If this has convinced you to go ahead and rent to pet owners, there are measures you can take to minimise pet-related damage and keep your relationship with your tenant as stress-free as possible. Firstly, if you are a leaseholder you will need to find out whether the lease to your property allows pets. Of course, as a freeholder, the decision will be up to you as long as there are no prohibitive covenants in place. Once you are set to go ahead, consider what kind of flooring your buy-to-let property has. You may find that vinyl or tiled flooring is the best bet for its easy maintenance and durability. Washable, stain-repellent paint is a great choice for properties that include a pet as one of their inhabitants. It’s a much more practical solution than wallpaper, and easy to refresh. Pet clauses and references for rentals. It’s best to stipulate at the outset what sort of pet, and how many, you are willing to accept. For practical reasons, if your property only benefits from a courtyard garden, you may not want a large dog living there, but will be happy to accept a cat. It’s all about being realistic. To be crystal clear about expectations, include a pet clause in the contract. This can state that the tenant will make good any pet-related damage and that the pet should be kept up-to-date with vaccinations and parasite treatment. You will also need to consider how long your tenant may be leaving a dog alone in your property to avoid issues such as nuisance barking. You could even request a pet rental reference! Yes, that’s is actually a thing. It’s true! Here’s a guide from pet food giant Purina on how to create a pet reference. Ask your tenant some of the questions from the guide to give you a clear understanding of the pet you’ll be allowing into your property. If possible, form an agreement with your tenant that you will complete regular inspections of your property to ensure that your special agreements regarding their pet are being kept to. Tenants with guide dogs are a different story. As a landlord, the law prevents you from rejecting a disabled tenant with a guide dog. What if your tenant has a pet without permission? It’s a fact of life that tenants will sometimes break the rules and turn rebel. Allowing pets into your property even if you’ve made it clear you don’t accept pets. What can you do about it? There are a few options. First, talk to the tenant and remind them that pets are not allowed. This might be enough to get the pet out of your property. More often than not though the owner won’t want to part with the property or the pet. In this case, your only option may be a section 8 notice. This approach also has it’s drawbacks as you may find yourself in an expensive court and eviction battle. The easiest thing to do in the long run might be to just accept the pet for the term of the current tenancy and serve a section 21 notice at the end of the letting period to remove the pet and the owner at the same time. This way you’ll maintain your rental income and avoid any potential eviction battle in court. Arrange to meet the pet, you never know, you might fall in love! Worried about tenants pets causing damage to property? An additional deposit to cover any outstanding damage caused by your tenant’s pet can bring an extra layer of protection. Any additional deposit taken for pets should still be protected under the Tenancy Deposit Scheme. Remember, it’s not just pets who damage property. Tenants do it too. I remember a case from a few years ago where a tenant caused so much damage that the police classed it as a crime. Normally damage by tenants (or their pets) is classed as a civil matter. 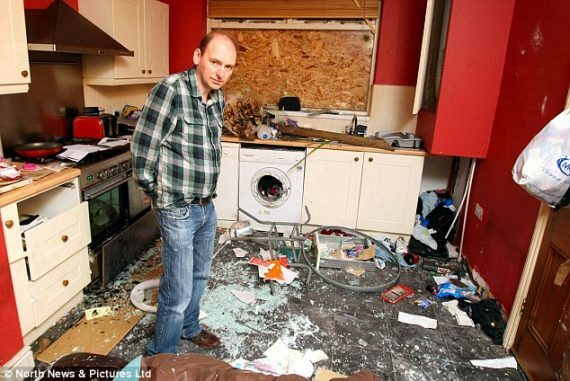 Thousand of pounds in damage caused by tenants. Not a pet in sight! Sadly, there is still a worryingly high number of animals right across the UK today. They need to be re-homed as their owners had found their ideal rental properties where pets aren’t allowed. We feel that with demand for pet-friendly landlords outstripping supply, it’s time for a change. At lettingaproperty.com we recently teamed up with two local dog rescue centres in an effort to raise awareness around this subject. The first with Birmingham Dogs Home and the second with My Forever Home Animal Rescue in Walsall. Lettingaproperty.com founder Jonathan Daines supporting dog rescue centres. Are you convinced? Are you going to start renting to pet owning tenants now? Ask the right questions and are clear about your expectations. Then there is no reason why you can’t have a long and mutually beneficial tenancy with a pet owner. In fact, you may find that it brings you the benefits of letting your property quickly with a responsible, long-standing tenant helping you to make the most of your investment. Let us know your thoughts in the comments below. Have you had a good or bad experience with a pet in your rental property? Many landlords do not accept tenants with pets, but could they be missing out on a massive pool of potential tenants? Looking forward to some good advice. Be aware when letting to tenants with large tropical fish tanks and also to tenants who love houseplants. These are a cause of condensation. Tenants then complain the property has damp! Dampness damages the material of the property and your investment. Hello, thanks for your comment. You’re right, pet fish in large tanks could be a source of condensation if not properly looked after. I think as long as landlords and tenants work together to mitigate these potential problems renting to pet owners can be a real benefit to many landlords struggling to find tenants.